Edmunds School Condo | Transportation & Location: The Edmunds School Condo is located in Capitol Hill on D St NE between 9th and 10th Streets NE. The closest Metro is Union Station on the Red Line. The nearest grocery stores are The P & C Market at 1023 E Capitol St SE and the Giant at 300 H St NE. 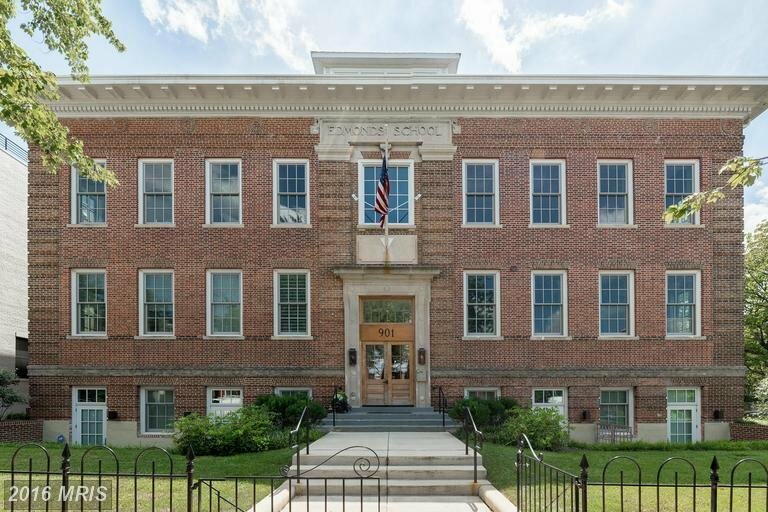 The Edmunds School Condominium | Additional Information: Also known as The Edmunds School Condos, The Edmunds School, The Edmunds School DC, Edmonds School. The Edmunds School Condominium is located at 901 D St NE, Washington, DC 20002.